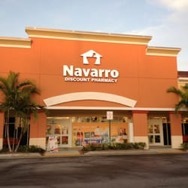 If you are injured at a Navarro discount pharmacy store in Miami or anywhere in South Florida you should call the Navarro pharmacy accident lawyers at the Wolfson Law Firm. Our Miami personal injury lawyers have been helping people in South Florida since 1963 and we can help you too. All you have to do is call our Miami personal injury law office at (305) 285-1115 for your free confidential consultation. Our managing attorney, Jonah Wolfson, is a bilingual personal injury attorney and wrongful death lawyer in Miami. Jonah and his bilingual personal injury legal team are ready to help anyone who was injured in or around a Navarro discount pharmacy store. Before focusing all of his energies on personal injury and wrongful death cases in Miami, Jonah served as a Miami Beach city Commissioner for eight years. Both his clients and his constituents were always grateful for the opportunity to converse in either English or Spanish. At the Wolfson Law Firm, we consider clear communication to be the foundation of a successful attorney-client relationship with all of our personal injury clients. The original Navarro Pharmacy was founded by José Navarro Sr. in 1940 in Havana Cuba. He opened other stores in Havana but eventually lost his stores to government confiscation in 1961. In that same year Mr. Navarro fled to Miami and opened a Navarro Pharmacy in the middle of Miami’s Little Havana neighborhood at SW. 13th Ave. and 8th Street. The Navarro family gave over control of the company to an investment firm in 2007. In that same year the Navarro corporate entity entered into an agreement with Sedano’s pharmacy to combine their operations. Once the agreement was made these combined corporate entities formed 31 stores under the Navarro brand name. As of 2014 the company known as Navarro was actually acquired by CVS Pharmacy. Although CVS purchased the Navarro Pharmacy Company, CVS kept the Navarro name and operated it separately. People can get hurt in a variety of ways. Sometimes it is just bad luck. But other times, people get injured because of the negligence of another person, company or corporation. When that happens, it is reasonable to consult with a Miami personal injury lawyer as quickly as possible. If you are seriously injured due to the intentional acts or negligence and carelessness of a Navarro Pharmacy employee or manager, then you owe it to yourself and your family to consult and get advice from a Miami personal injury attorney. Most people never think that they are going to need to speak with an attorney. Those same people probably think that they would never sue anyone or any corporation. But in a split second, a serious injury caused by the negligence of another can alter the trajectory of your life. Never be a silent victim – no matter what. You need to stand up for yourself and for your family. If your injuries or the death of a loved one was caused by the negligence of others, then you should take the necessary steps to hold them accountable and make them responsible for the damages that you suffered. Once you hire the best personal injury attorney in Miami for your case, then it is up to that attorney to move your case to settlement or jury verdict. But the first step is always yours – you need to make the call. The Miami personal injury lawyers at the Wolfson Law Firm are standing by and ready to help. Just call us at 305-285-1115 and allow us the opportunity to be your personal injury lawyer in Miami and South Florida. Our Miami accident and injury lawyers serve all of South Florida including Palm Beach County, Broward County and Miami-Dade County. We are proud to offer representation throughout South Florida including but not limited to the communities and neighborhoods of South Miami, Hialeah, Doral, Kendall, Homestead, Fontainebleau, Tamiami, Hialeah Gardens, Miami Lakes, Florida City, Flagami, and Flagler Street.